Cineplex Inc. had $24.4 million of net income in the second quarter, beating analyst profit estimates, as total revenue increased by 12.4 per cent from last year and the company made progress on its cost-reduction efforts. A helping hand from the Avengers, Incredibles and Deadpool resulted in record revenue for Cineplex Inc. in the second quarter. 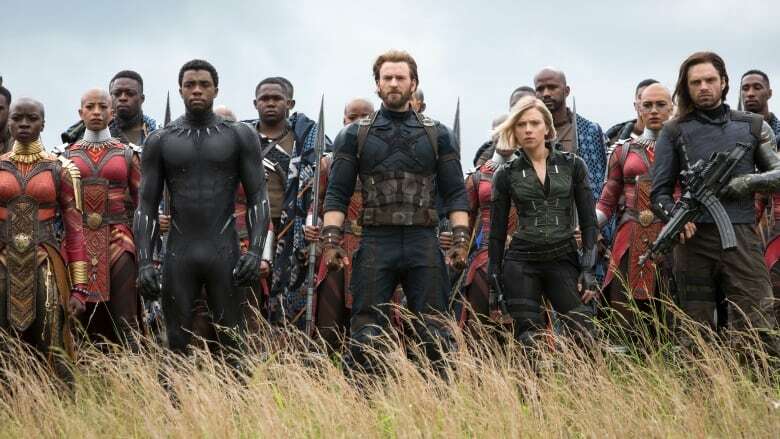 The Toronto-based entertainment giant said sequels to the superhero hits delivered increasing audience numbers and money spent at concession stands, bringing the company's revenues to an all-time high of $409.1 million for the quarter ended June 30, up about 12 per cent from the year before when it made $364.1 million. The company's net income also jumped significantly, increasing 1,670 per cent to $24.4 million, or 38 cents a share this quarter from $1.4 million or 2 cents last year. Analysts had estimated $414 million of revenue and 24 cents per share of net income, according to Thomson Reuters Eikon. Ellis Jacob, the president and chief executive officer of Cineplex, said there wasn't a single factor that prompted the strong performance. "We had a lot of stars aligning," he said. "The box office did well (and) the food side of the business did extremely well with a significant increase in our concession revenues per patron." The only "blemish," he said, was that the company's revenues were slightly lower than it expected for its Rec Room gaming restaurants, which brought in $15.7 million in revenue in the quarter. His comments came as Cineplex has been focused on minimizing the unpredictability of the box office and competing with the popularity of on-demand streaming services by putting attention on its signage business and expanding gaming and restaurant brands it operates, including the Rec Room, Playdium and forthcoming virtual sports complexes Topgolf. There will be nine Rec Rooms and two Playdiums open by the end of 2019 and that an announcement around Topgolf's first site is coming soon, he said. Cineplex is also looking at food as a way to nab more customers. In June, Cineplex partnered with Uber Eats to launch a popcorn and snack delivery program in 60 communities throughout Ontario, Alberta, B.C. and Quebec. It has also toyed with expanding concession stand offerings and alcohol in some markets. On Friday, Cineplex reported that concession revenue per patron rose 9.3 per cent to $6.59. Box office revenue per patron also climbed 4.4 per cent to $10.82 and attendance rose by 5 per cent to 17.3 million from 16.5 million. Cineplex said 24 per cent of its box office revenues were attributable to Avengers: Infinity War, Deadpool 2 represented 11.3 per cent, Incredibles 2 9.6 per cent, Jurassic World: Fallen Kingdom 6.8 per cent and Solo: A Star Wars Story 6 per cent of box office revenues. The company's third quarter has already generated positive expectations because of the debut of Mamma Mia! Here We Go Again, Ant-Man and the Wasp, Mission: Impossible - Fallout and soon-to-be-released Crazy Rich Asians. In the fourth quarter, theatregoers will be treated to the long-awaited Mary Poppins Returns, Spider-Man: Into the Spider-Verse, Fantastic Beasts: The Crimes of Grindelwald Widows, Dr. Seuss' The Grinch, and The Nutcracker and the Four Realms. Jacob said he was optimistic about how theatres will fare given the slate, but is always cautious around expecting specific films to be a hit and reap big profits. "I have been in the business for 35 years and you can never tell what the guest is going to do," he said. "I always go back to when a movie called Home Alone was coming out and we all watched the movie with the senior management team and we all said, "Oh God, here is another movie that is not going to deliver,' and the thing hit records. You never know in our business." That element of surprise cropped up at Cineplex in areas other than the film business this quarter. The company unexpectedly had to grapple with weaker audiences because of weather in Edmonton and a fire at its Seton location in Alberta, causing a $3.7 million interruption in business insurance proceeds. Cineplex, which announced in April that it would lay off "a number of" full-time workers to eliminate duplicate roles following several business acquisitions, said it also implemented a cost-reduction program with the expectation that it will bring $25 million in annualized cost savings by the end of the year. On Friday, shares of Cineplex shed almost four per cent, falling $1.20 to close at $29.10 on the Toronto Stock Exchange.